You are here: Home Inspirational, Self Help & Reflective Business, Success & Self Help Decision Making Parna Vishvana Shreshth Pustakomanthi Shu Shikhava Male Chhe ? ડીસિસન મેકિંગ પરના વિશ્વના શ્રેષ્ઠ પુસ્તકોમાંથી શું શીખવા મળે છે? Decision Making Parna Vishvana Shreshth Pustakomanthi Shu Shikhava Male Chhe ? વિશ્વના ટોચના મોટીટીવેશનલ લેખકોના ડીસિસન મેકિંગ પરના ૧૦ બેસ્ટસેલર પુસ્તકોનો વિચારસાર આ એક જ પુસ્તકમાં. 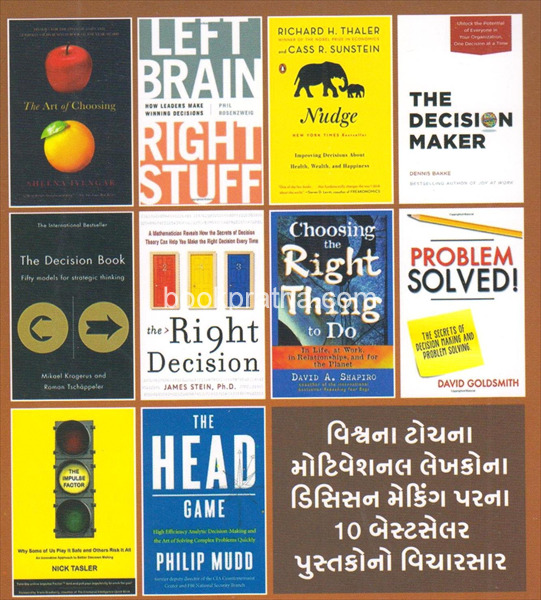 Title : Decision Making Parna Vishvana Shreshth Pustakomanthi Shu Shikhava Male Chhe ? Tamara Vyaktitvane Navo Op Kem Aapasho ?